Did you know a national "Presidents' Day" holiday in the U.S. does not exist in February and, if it did, it wouldn't actually fall on the birthday of any American president? Despite being born in February, former Presidents George Washington, William Henry Harrison, Abraham Lincoln, and Ronald Reagan have birthdays that fall too early or too late to ever coincide with the national holiday recognized on the third Monday in February. Let's rewind the clock to the year 1800 to sort this out. The year after our founding father's death in 1799, George Washington was honored annually on his birthday, February 22nd, in a day of remembrance. In 1879, "Washington's Birthday" became a legal holiday for federal government employees within the District of Columbia; Congress expanded it to be a paid holiday for all federal employees in 1885. In the 1960s, Congress proposed the Uniform Monday Holiday Act in an attempt to reduce absenteeism and standardize federal holidays to provide employees with three-day weekends. Many argued that changing the original dates would "cheapen" the meaning of the affected holidays, but strong support was garnered from labor unions and the private sector that saw this as an opportunity to boost retail sales. So, in 1971, Washington's Birthday was moved to the third Monday in February. Despite popular belief, the Act did not merge the observance of Abraham Lincoln's birthday or that of any other President, nor did the Act change the name of the holiday to Presidents' Day – those provisions were dropped due to the protests by politicians in George Washington's home state of Virginia. All but nine states also recognize the holiday but in many different ways. 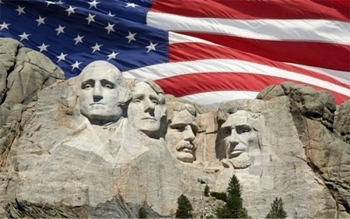 The majority recognize the federal holiday of Washington's Birthday as an official state holiday on the same third Monday of February but by the names Presidents' Day (HI, MD, NM, ND, OK, PA, TX, WA & WV), President's Day (AK, CA, CO, ID, NE, NH & WY), or Presidents Day (MI, NJ & OR). What a difference an apostrophe makes! There are some states that recognize the same day on the calendar as the federal government but add in Abraham Lincoln under four different official holiday names (AZ, OH, MT, MN, SD & UT), Alabama honors George Washington and Thomas Jefferson, and Arkansas celebrates both local civil rights activist Daisy Lee Gatson Bates and George Washington. To mix things up further, New Mexico observes Presidents' Day on the Friday following Thanksgiving, while Indiana and Georgia observe Washington's Birthday on Christmas Eve (unless that falls on a weekend like this year when it will be observed on December 23rd in Indiana and December 27th in Georgia). Washington's Birthday is now popularly viewed as a day to celebrate all U.S. presidents past and present. But making the change to an official "Presidents' Day" has met with opposition from lawmakers who don't feel like all of our past leaders deserve the same recognition as Washington or Lincoln. Even as recently as 2001 there was a House Resolution called the "Washington-Lincoln Recognition Act" that proposed "the legal public holiday known as Washington's Birthday shall be referred to by that name and no other by all entities and officials of the United States Government" and requested "that the President issue a proclamation each year recognizing the anniversary of the birth of President Abraham Lincoln and calling upon the people of the United States to observe such anniversary with appropriate ceremonies and activities." What do they have against poor Millard Fillmore? Guess this demonstrates just how diverse our thinking is across this nation. Whatever holiday or holidays you're celebrating this February, enjoy yourself and stay safe. 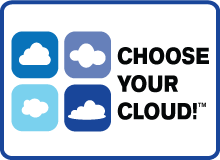 And one thing we can all agree on – before you leave on your next holiday, make sure you've scheduled your backups and protect your data!